I got an invitation to participate in a craft show at the Ville. 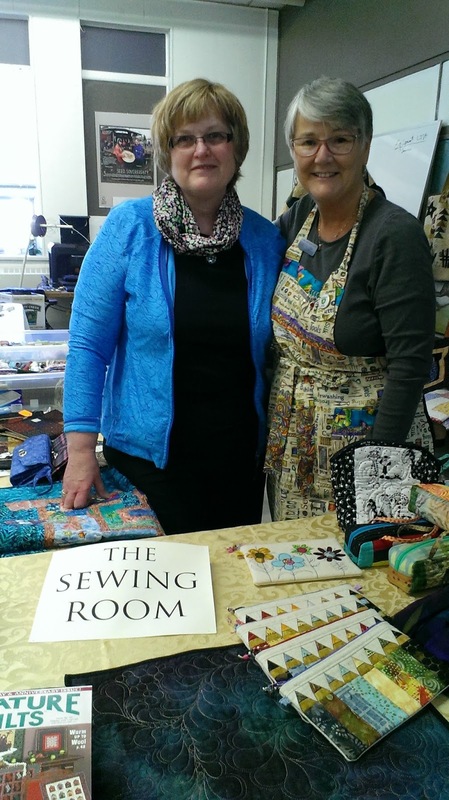 I quickly accepted knowing, that I wouldn't have much to sell, but it would be a good opportunity to show the sewing classes that are being taught in the Sewing Room at the Ville this spring and early summer. Connie F. jumped in with both feet and the both of us had a very busy day at the Ville. We had notified the local guilds of this, and we were so pleased that we had many visitors to our table. We even got a few people who signed up for classes. Here we are, still pretty fresh.... but by the end of the day, we were pretty tired!!! It was a great day.